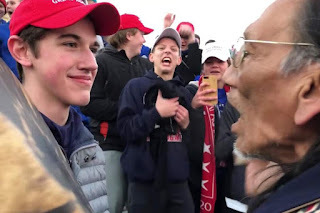 In light of the scandal concerning the Covington students, New York state will now consider legislation to allow abortions up to the moment of high school graduation. Murdering babies is wrong - is the concept so difficult to understand? Perhaps those in favor of murdering babies have rallies for Moloch or for King Herod. In total, there were 73,815 abortions, which means the 31,328 black babies aborted comprised 42.4% of the total abortions. For Hispanic women, there were 22,917 abortions in New York City in 2012, which is 31% of the total abortions. Black and Hispanic abortions combined, 54,245 babies, is 73% of the total abortions in the Big Apple in 2012. The number of non-Hispanic white abortions was 9,704, and the number of Asian and Pacific Islander abortions was 4,493. The total number of live births in New York City in 2012 for women ages 15-49 was 123,231. That is a rate of 14.8 live births per 1,000 women, which is the lowest rate since 1979, according to the report. In addition, the live birth rate (per 1,000 women) has declined 3.9% since 2003, when it was a 15.4 rate, states the report. (See Pregnancy Outcomes NYC Health 2012.pdf). Governor Cuomo and the democrat party are making fools of the citizens by murdering nearly 75% of the black and brown skin color babies; they succeed in what they accuse President Trump and his supporters! One of the most interesting aspects of this viral picture is... I never saw his expression as "smirking". This is a YOUNG adult who is being harassed by an OLDER adult male ... harassed rather aggressively. 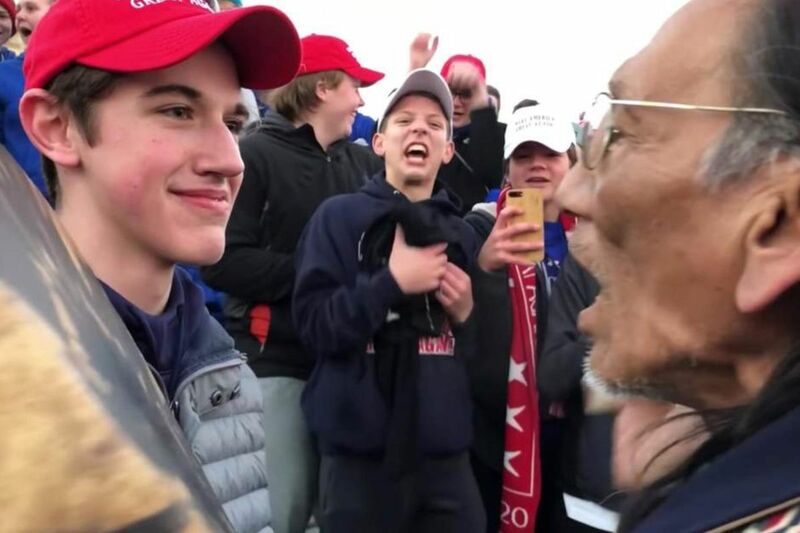 How dare anyone try to pin the boy's facial reaction as something other than self-protection! No sorcery here please. We are Catholic.